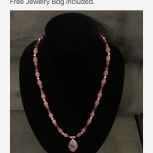 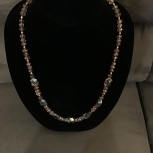 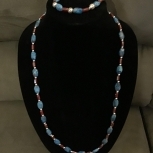 This Beautiful necklace is 27 inches long. 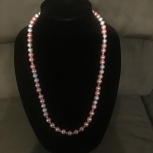 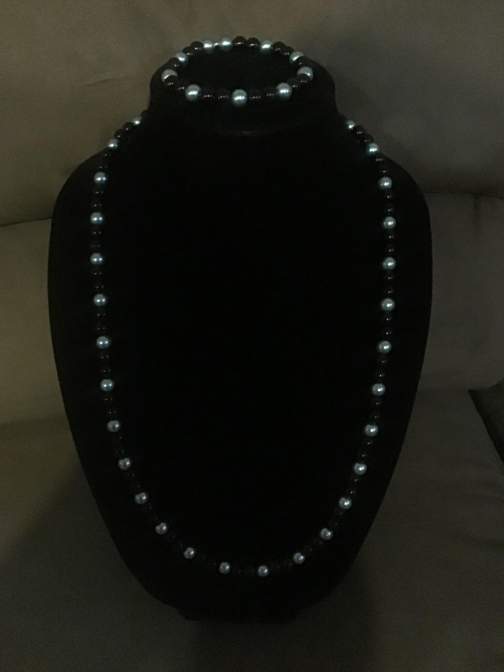 It features black and light blue glass crystal pearls. 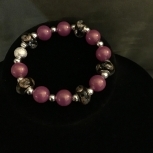 Matching bracelet included that fits 8 inches or less. 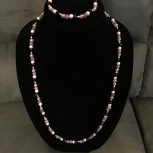 Would be great for any occasion.